We are offering top class quality ranger of Barometers Digital & Analog. Altitude History & Graphical Display of the last 12 hour altitude readings. Barometer Digital available in Dial Type. Features:Monitor with real time data logger, save the measuring data along the time information (year, month, date, hour, minute, second) into the SD memory card and can be down load to the Excel, extra software is no need. User can make the further data or graphic analysis by themselves. Backed with a team of experts, we are involved in offering a wide gamut of Digital Barometers in the industry. 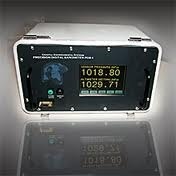 These Digital Barometers that we offer have bid digital screen that clearly displays the measurements. 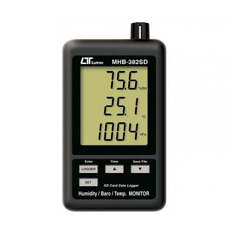 Further, these Digital Barometers are very easy to operate.